The oldest Moriori artefacts have been uncovered on the shoreline of Pitt Island. 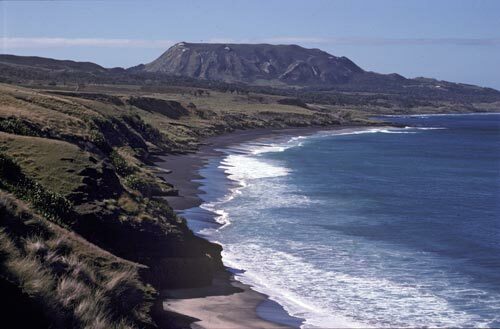 In the background rises the ancient remnant volcano Hakepa, also the highest point on the island. This photograph was taken in the 1980s.